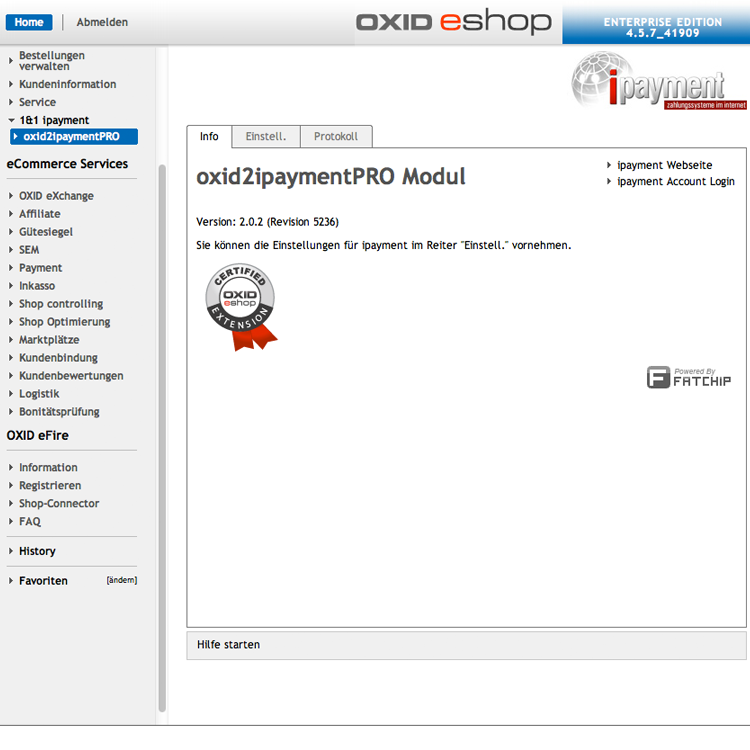 This certified plugin is the connection of your OXID shop to the online payment system Ipayment (provider: 1&1 Internet AG). 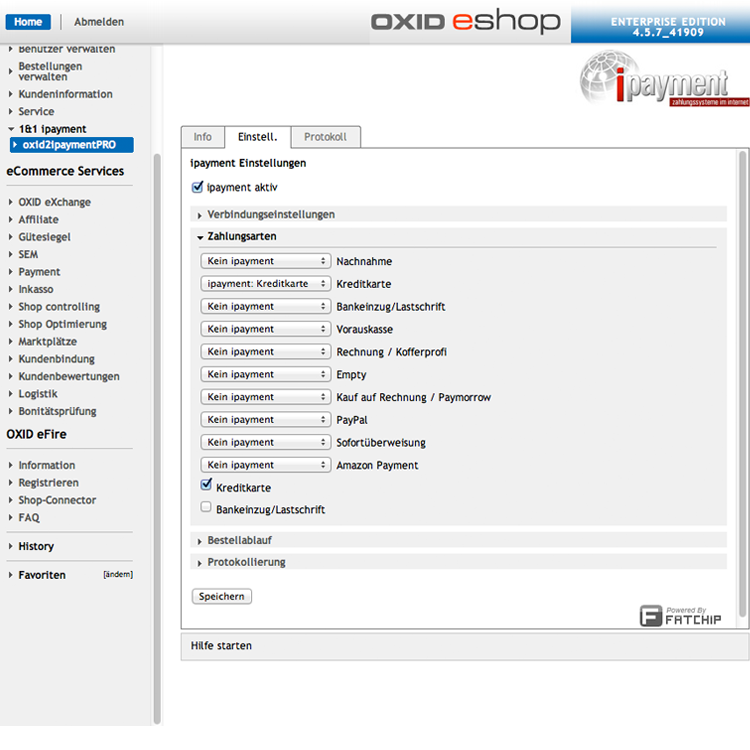 With this interface, credit card and debit payments (SEPA-concurrent) can be processed online. For credit card payments, the plugin contains the 3D-Secure security systems "Verified by VISA" and "Mastercard SecureCode". With these, e-commerce providers are protected from credit card misuse. OXID eShop users that are registered for the 3D-Secure process at Ipayment do not have a chargeback risk when they withdraw VISA, Mastercard and Maestro transactions because of misuse. The interface does not save or process credit card data! Therefore, the OXID Ipayment Connector corresponds to all current requirements of the credit card institutes and all legal guidelines, even without a PCI certification. 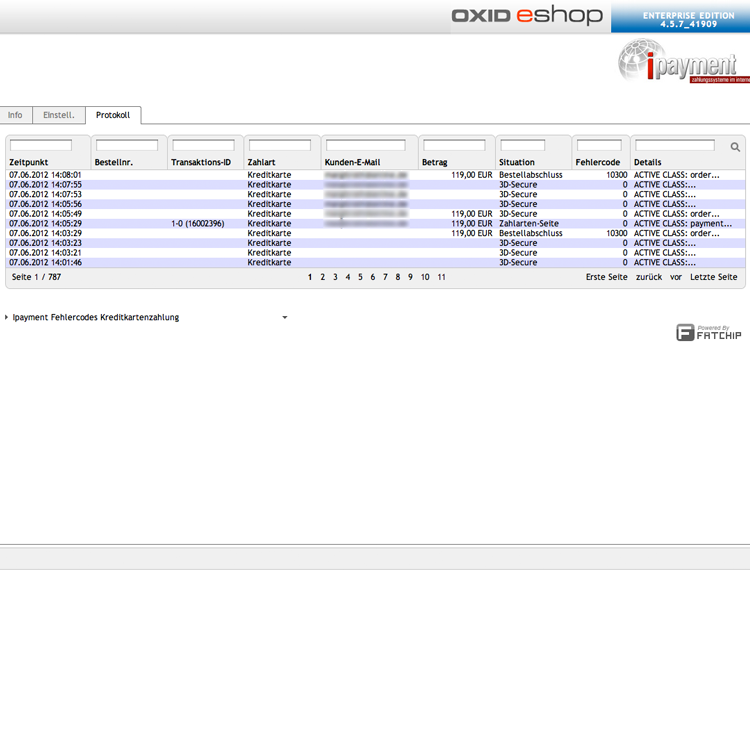 NEW: Input of credit card data in a separate ipayment IFrame (PCI DSS 3.0 concurrent). Please note: Due to low demand, the FATCHIP OXID Ipayment Connector unfortunately will not be updated for OXID 6.